Maroon 5 is a superstar band that has employed audience engagement tactics throughout its career, most notably with The Daylight Project. The band released their hit single “Daylight” on their album Overexposed in 2012. Later that year, Maroon 5 announced The Daylight Project, a collaborative effort with their fans to create a music video to accompany the track. Fans were invited to submit videos expressing what they love and hate in life and give them a chance to share their life story with the world. The final product, a nine-minute music video directed by Jonas Akerlund, featured fans covering “Daylight” and conveying aspects of their lives. This project allowed fans to speak from the heart about what was important to them and within the first 24 hours after release, the co-created video generated more than 500,000 views and has now gone on to earn more than 17 million views. 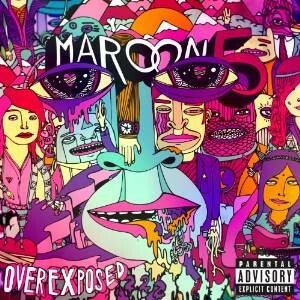 The Daylight Project is also a perfect example of how the band bridged the so-called “fourth wall,” the perceived gap between the superstar members of Maroon 5 and their audience. Often, superstar bands tend to limit interactions with their audiences other than from the stage high above the arena floor. Popular bands often seem inaccessible, making their fans feel as if they are viewing the band from a distance. While an artist’s active use of social media can help reduce this perceived gap, The Daylight Project provided a creative option to involve Maroon 5 audiences in helping the band create new art. The band’s fans felt included and appreciated when asked to participate in the creation of a music video for “Daylight.” And while the attention that The Daylight Project got was in part due to the high profile Maroon 5 already had, any artist can borrow the strategy of asking their fans to comment on something that the audience finds important or meaningful and then incorporating the fan-generated content into a new work. Maroon 5 demonstrated an imaginative course of action to include audiences!